GOOD WOLF is an IRS approved 501(c)3 nonprofit organization. Our mission is to educate the public about the true nature of wolves, the important role predators play in maintaining healthy ecosystems, and to encourage humane, objective and biologically sound wildlife preservation policies. Wolves have been unfairly maligned by lies, fairy tales, fear-mongering and political agendas that caused them to be hunted to near extinction in the lower 48 states in the last 200 years. Through education and advocacy GOOD WOLF seeks to dispel the ignorance, myths, unfounded fear and persecution of these majestic animals by creating understanding and appreciation of their true nature. There is no documentation of a healthy wolf attacking a human in the lower 48 states in the last 100 years despite extreme provocation by humans. Wolves are highly intelligent, with complex social structures within the pack; wolves mate for life. Wolves are responsible for LESS than 1% of depredation of livestock. Wolves are not decimating elk herds - wolves improve herd health through natural selection. There are 400,000 elk in the Northwest, more than before wolves were reintroduced. 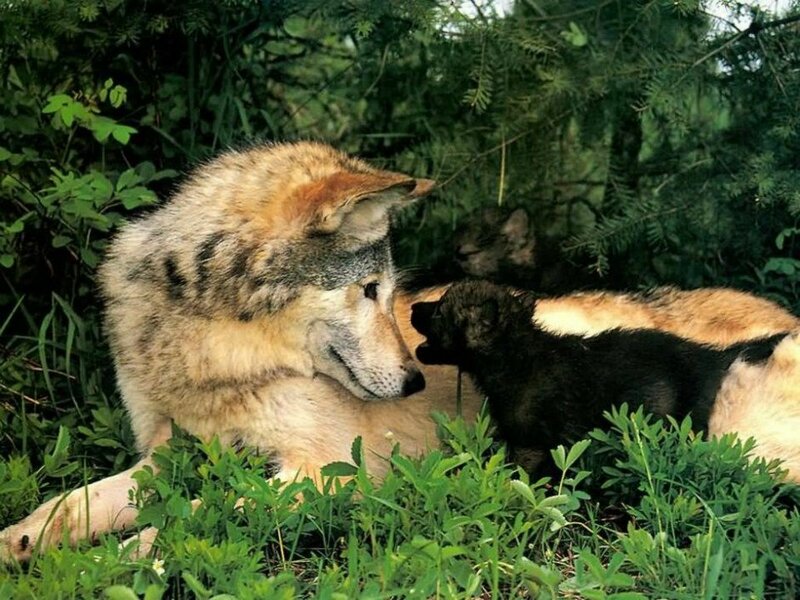 Family is simply what matters most to wolves.